Merry Christmas friends! Our families get into town this evening, and we'll all be heading out to my mom and stepdad's house for the next few days. 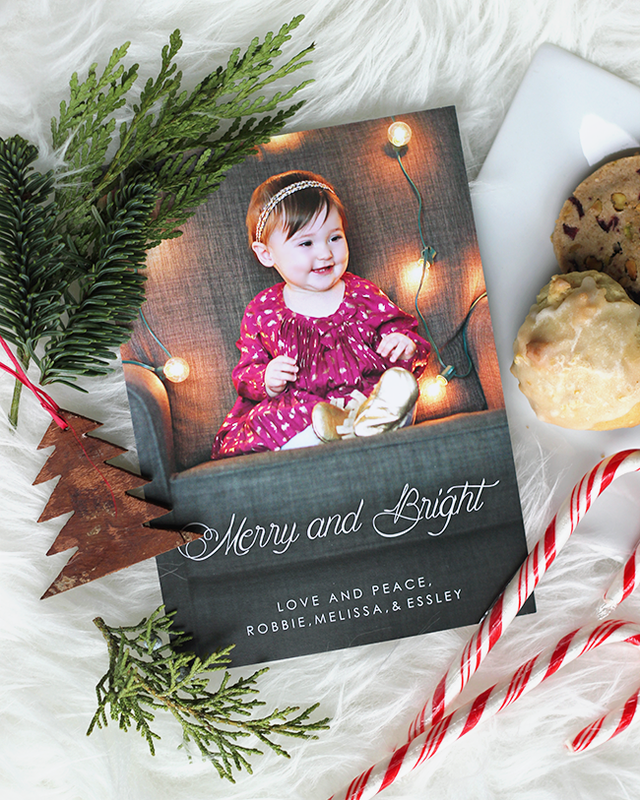 I'll be taking a blog break Christmas Eve and Christmas Day to celebrate with them, as well as the following day to prepare for Essley's birthday party on Saturday. It's almost surreal to think about this time last year, when I was just days from giving birth. It was such a hectic, scary, exciting time. I'm really grateful that this year, even with all we have going on, we're able to take things a little more slowly this week and enjoy spending time just hanging out with family. I'm also so excited about Essley's first Christmas (and first birthday!) that I could burst. This is a really, really great time. Whatever your plans may be, I hope that you have the happiest of holidays. See you Monday! There's so much to celebrate in that first year, with all the milestones and new memories. And I just wanted to thank you for sharing just about everything with us here on your blog. We get to watch this little cutie grow up right there with you, and she's already amazing like her mama. Oh how sweet she looks! Merry Christmas to you and yours and HAPPY FIRST BIRTHDAY ESSLEY! Merry Christmas, Melissa! Wishing you and your family a wonderful holiday season. Merry Christmas! And happy birthday to sweet little Essley!